Indonesia is possibly my favourite country in Southeast Asia – it’s well up there with Laos in any case! 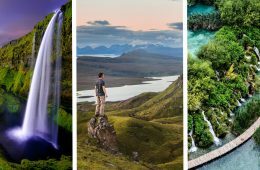 There are few countries so diverse with hectic cities, peaceful rice paddies, exotic beaches, world-class diving, ancient temples and active volcanoes all available. 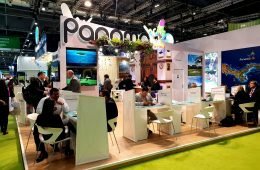 This 2 week Indonesia Itinerary will give you a really good flavour of what Indonesia has on offer. Made up of over 17,000 islands, the Indonesia Archipelago is not the easiest of countries to visit and as such it gets skipped by many backpackers. Those who do visit Indonesia, tend to flock straight to Bali and miss the best bits. 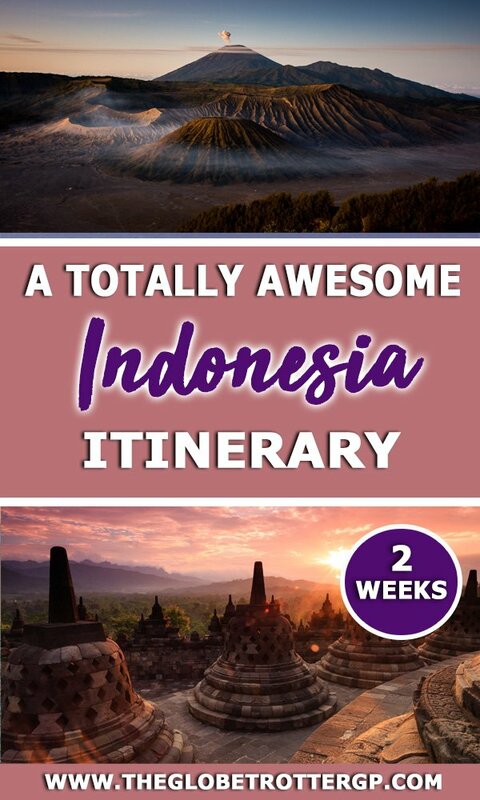 So whilst this Indonesia itinerary for 2 weeks will showcase a lot of Indonesia’s highlights, if you can, I’d encourage you to spend a little longer here. 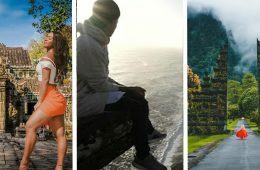 We’ll also talk about the other top places to visit which get missed off this 2 week Indonesia itinerary so you can decide how much time to allocate to exploring this beautiful country. 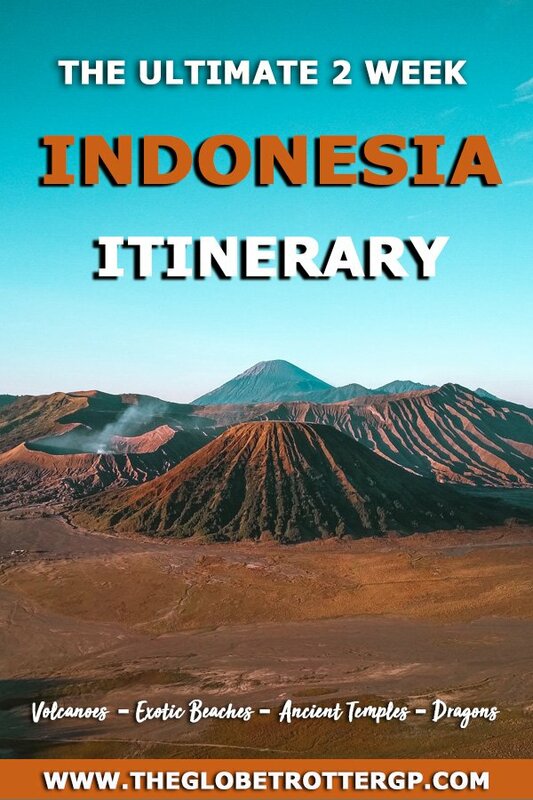 Getting about Indonesia is fairly easy though is different on each island. Bali doesn’t have a great network of public transport options so you may need to hire a scooter or driver. Buses and trains are the best way to get about Java and reaching the Gili Islands is easy by boat. It’s easiest to travel to Komodo National Park as part of an organised sailing trip unless you have the luxury of time on your hands to arrange private travel. Train and buses are the easiest way to get around Java, the biggest of the islands you’ll be visiting on this Indonesia itinerary. I’d recommend getting a train from Yogyakarta to Malang. It will take around 7 hours and will likely cost between $10-15. 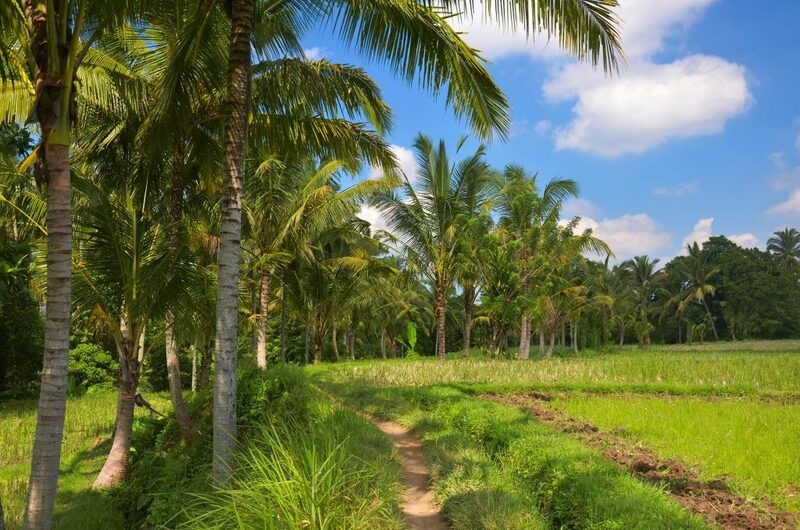 You have two options for travelling from Malang to Ubud. I would recommend flying from Malang to Ngurah Rai airport near Denpasar on Bali. From there you can a bus to Ubud via Kuta which shouldn’t take more than 2 hours. The other option if you are saving your pennies is to take a train from Malang to Banyuwangi which should take about 8 hours. You can then hop on a ferry which takes 45 minutes to reach Gilimanuk. A bus will then take you to terminal Mengwi (another 2hrs 45) which is just a short taxi ride from Ubud. There are not many buses in Bali and so the best way to travel is either by hiring a moped or negotiating with a taxi driver to chauffeur you around the island for a day – they’ll take you to the best places and wait for you whilst you get out to explore. Getting around Ubud itself is easiest by hiring a bike so you can get out an explore the beautiful rice paddies in the area. You can either catch a bus (1 hour) or take a taxi (30 minutes) to Serangan where you can hop on a ferry to Gili Air. It’ll stop at Gili Trawangan on the way and if you are looking for a party then you should opt to stay there instead. Gili Air is a lot more relaxed but is paradise for those looking for some rest and relaxation! There are absolutely no cars allowed on the Gili Islands. Therefore your only option for getting about is walking, hiring a bike or taking a horse and carriage! 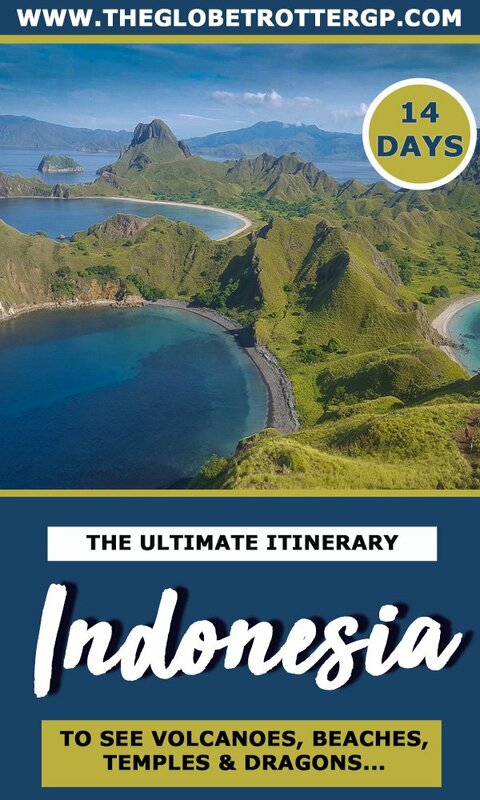 You could organise this trip independently but if you’re short of time it’s still possible to see Komodo Island by taking a 3 day organised trip from Bali. The bustling city of Yogyakarta is blissfully not over ran by tourists so here you will get an authentic feel for Urban life in Indonesia. One of the first things I noticed after travelling to Yogyakarta from other Southeast Asia countries is that the tuk-tuks were replaced with horse and carts which adds a certain amount of old fashioned charm to the city. Yogyakarta is the only royal city in Indonesia which is still ruled by a monarchy and it’s also renowned as being a centre for Indonesian arts and culture. But for tourists, its main draw is it’s proximity to the ancient temples Borobudur and Prambanan. Borobudur. This 9th-century Mahayana Buddhist temple in Magelang Regency is a UNESCO world heritage site that is on many travellers bucket lists. 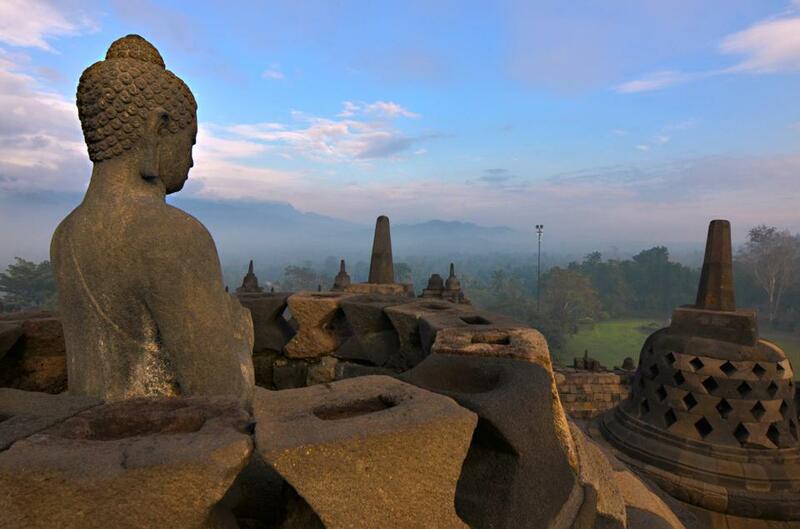 Borobudur is best seen at sunrise and is spectacular when shrouded in eerie mist! Prambanan. 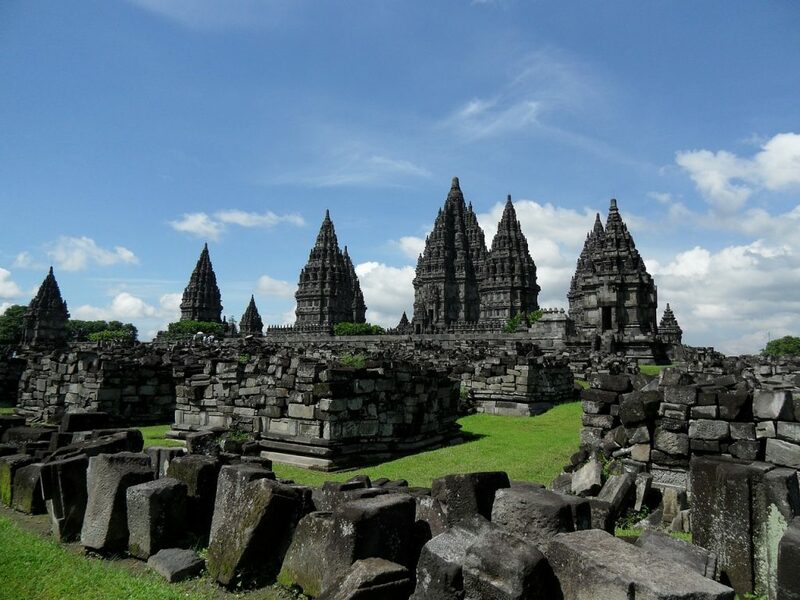 In contrast to Borobudur, Prambanan temple is Hindu in origin rather than Budhist. It’s just as old, however, also dating back to the 9th century. It was abandoned in the 10th century – possibly due to Mt Merapi eruption but in 1930 work started to restore the magnificent temple complex and work is still ongoing to this day. 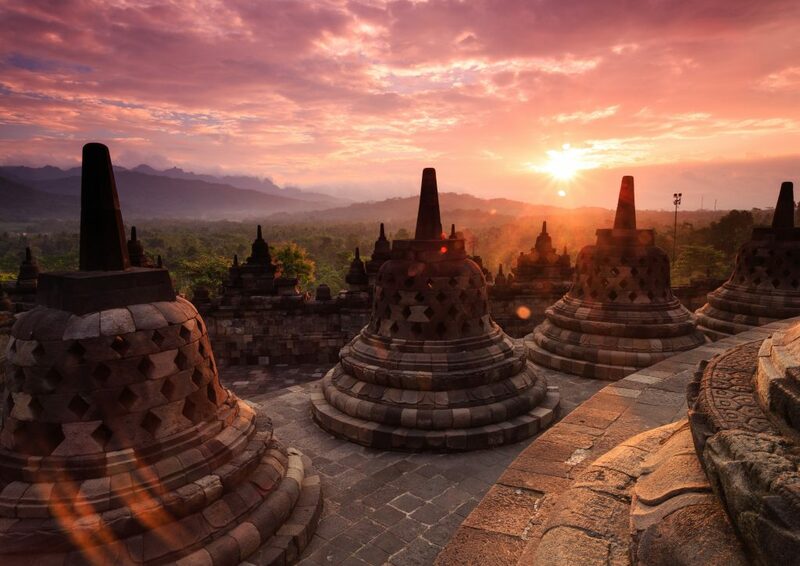 In an ideal world, you’d visit Prambanan for sunset after spending sunrise at Borobudur. They are often visited together on a day trip from Yogyakarta. Jomblang Cave. Take a day trip to Jomblang cave where you will be lowered 50 metres into a sinkhole where you will begin a caving adventure culminating in huge cave which casts a beautiful light. Take a batik class. Being a major centre for culture and arts, Batik features heavily. Consider taking a city tour by rickshaw which culminates in a Batik class. 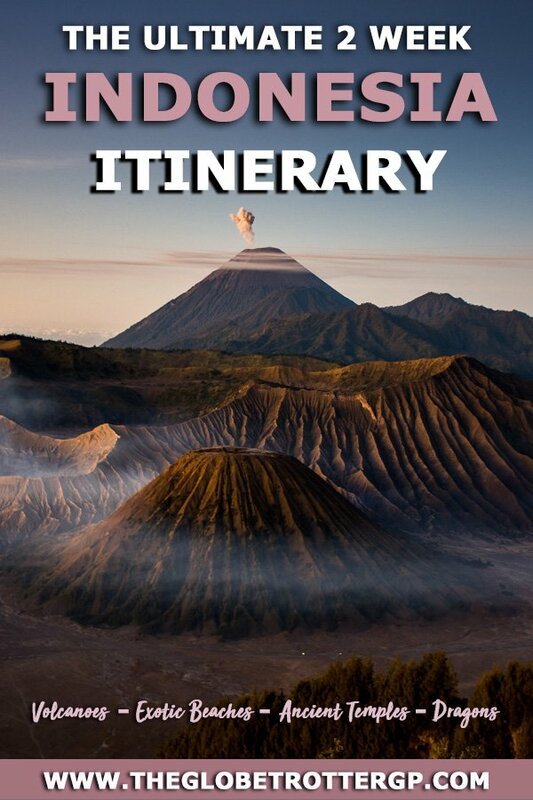 Hop on a train to reach Malang, your base for exploring some of Indonesias Active Volcanoes. 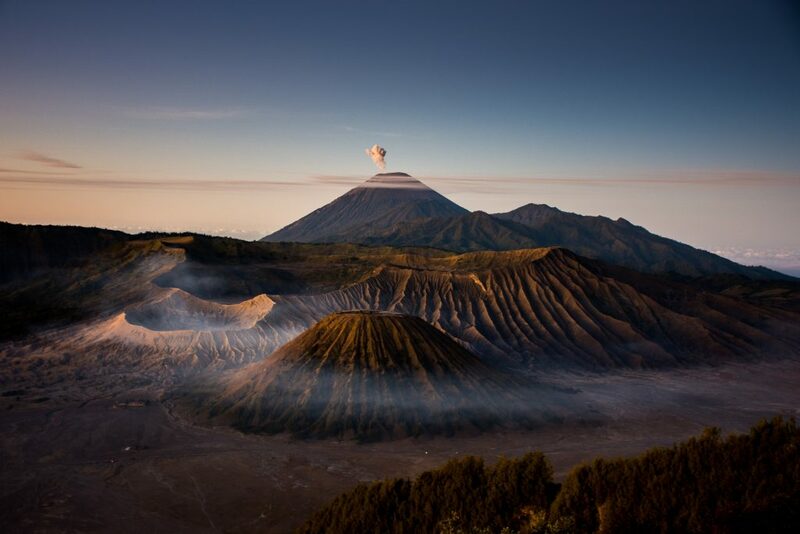 Sunrise at Mt Bromo – The view of Mt Bromo at sunrise is quite spectacular and well worth the short hike in the dark to reach it. Just make sure you pack a head torch. After watching the sunrise, jeeps will take you to the base of the active volcano where you can hike up it and pear down into the sulphur lake. There are horses you can ride to reach the top but I’d advise against it. Sadly, they are not well looked after. 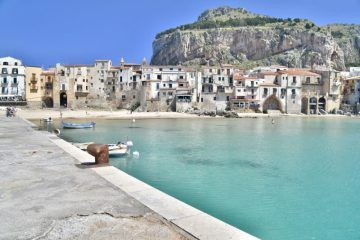 It’s a short walk – probably 45 minutes although it is quite steep so take your time. Mt Ijen This was one of my favourite viewpoints on my trip to Indonesia. It was also a sobering experience as we learnt about the toxic backbreaking work the miners do here mining sulphur and then carrying over 80kg of it back and forth every day. 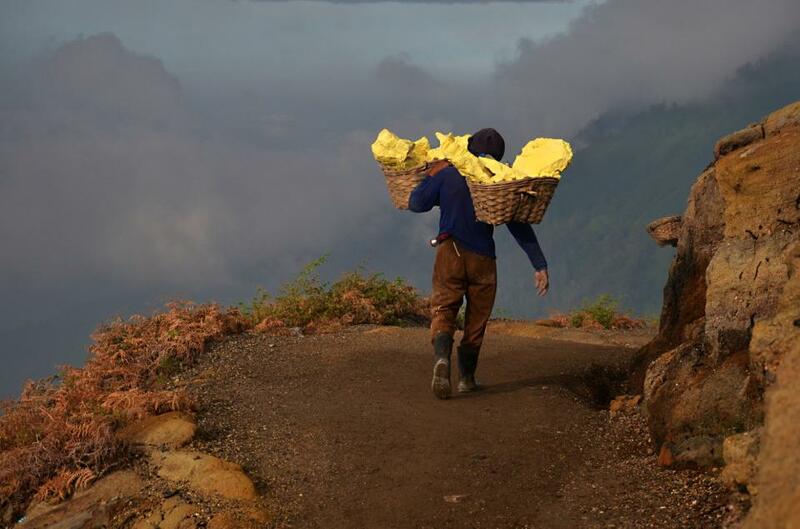 They usually make 2 round trips up and down Mt Ijen and trust me, one trip without carrying 80kg of Sulphur is hard enough! 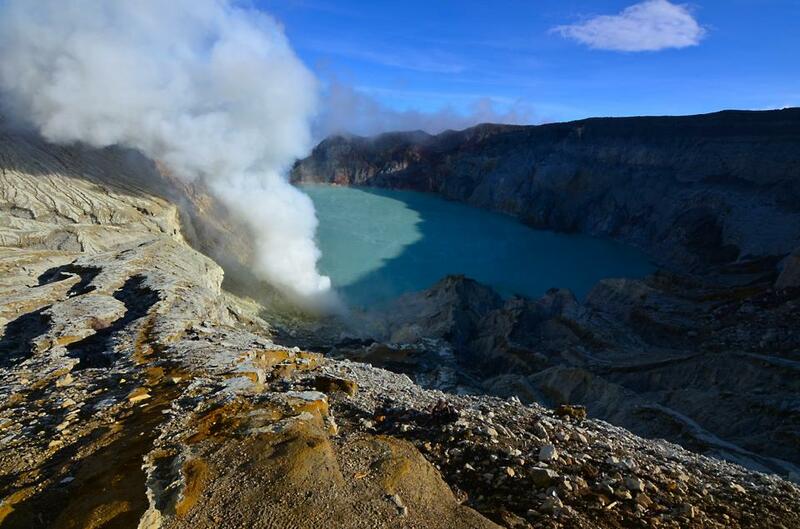 It’s best to start your hike to up Mt Ijen in the early hours experiencing the mist clinging to the trees below as you descend this active volcano. At the top, you will see the most perfect turquoise volcanic lake which intermittently is shrouded in steam until it clears again a few moments later as the wind changes direction. Again, you won’t have to spend much to stay somewhere amazing in Malang. You’re going to be doing some early morning hikes here so it’s worth getting somewhere nice to stay so you can ensure a good nights sleep. Even the budget option here is pretty luxurious! Ubud is one of my favourite towns in South East Asia. 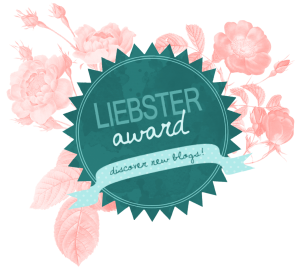 (My other favourites are Hoi An in Vietnam and Luang Prabang in Laos if you’re interested.) Ubud is charming, eclectic and colourful. It’s the sort of place you will want to stay for an extended period. 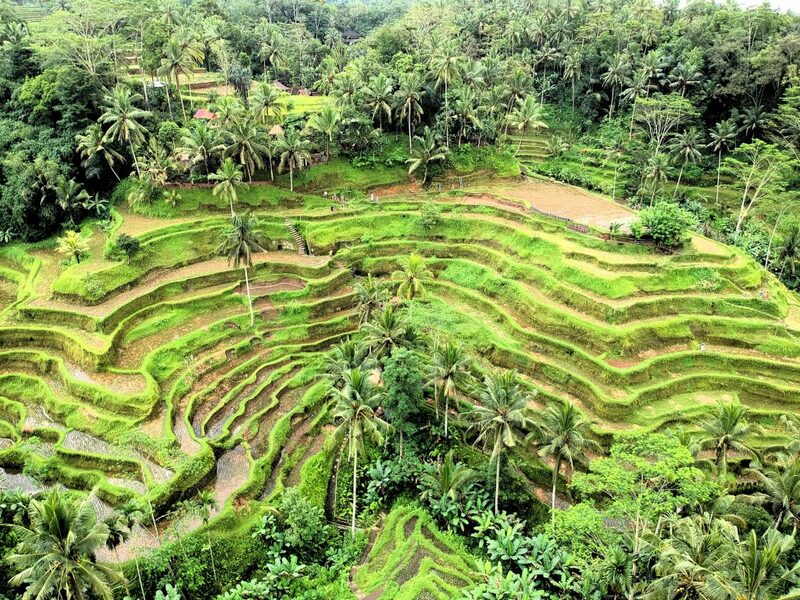 Personally, I feel the beaches in Bali are totally over rated and Ubud is where the real beauty lies, especially in it’s lush green rice paddies. 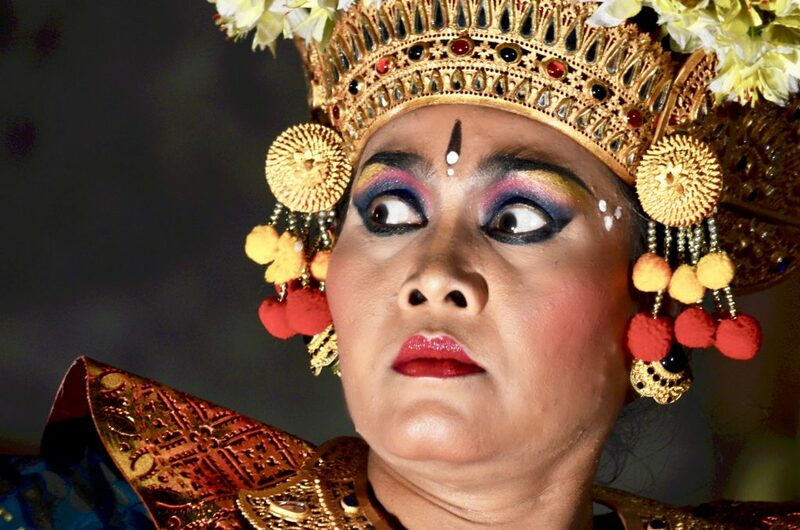 Not only is Ubud beautiful but there are also so many things to do from learning to cook Nasi Goreng to watching Indonesian dance performances. Ubud also has a lot of spas and holistic therapies on offer so it’s a chance to rest and recooperate after all that volcano hiking and temple exploring! 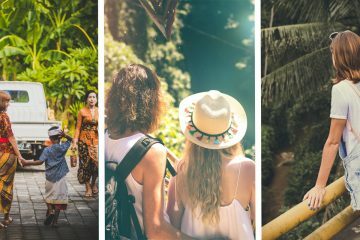 If you can tear yourself away from Ubud, it is easy to visit the beaches and temples on Bali in a day trip given Ubud’s central location. Cycle through the rice paddies. 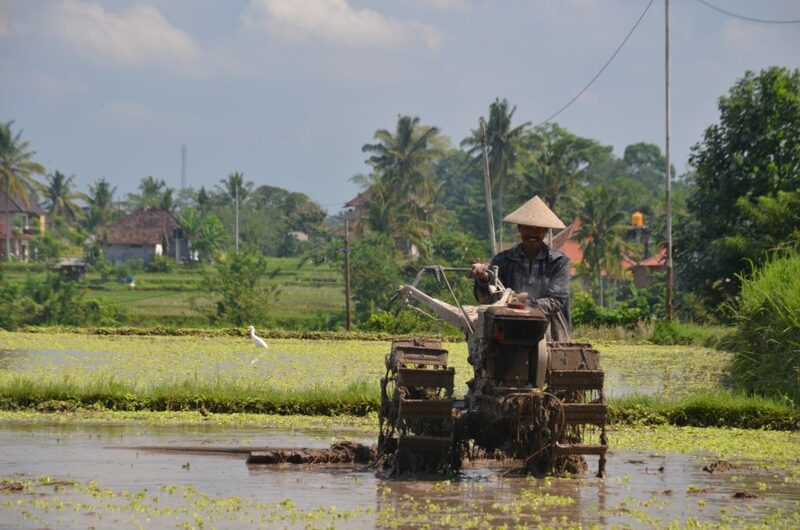 Spend a day leisurely cycling through the luscious rice paddies watching the local rice farmers at work. Stop at Sari Organik cafe along the way – a little oasis of calm serving up tasty food and great fruit smoothies with a view. Take a cooking lesson. Learn to cook Nasi Goreng (an Indonesian staple) along with various other dishes at a cookery class. 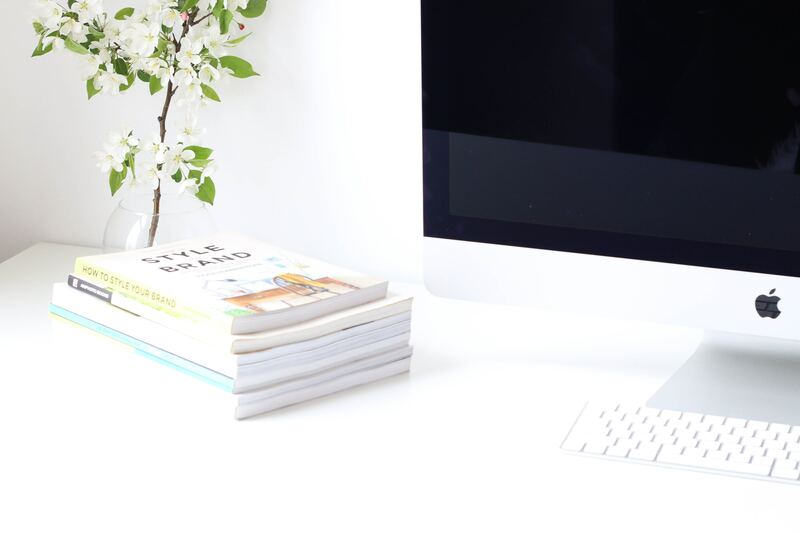 You’ll be able to impress your friends with you new skills when you return home. Watch an Indonesian Dance Performance. Visit the Puri Saren Royal Palace for a colourful display of traditional dance with elaborate costumes and makeup. Visit a spa. Ubud is a little haven, an oasis where you can relax. So make sure you book yourself a massage or a treatment. Take a yoga class. Ubud loves its holistic therapies as as well as the spas, there are also lots of yoga classes where you can continue your relaxation and meditation. Go shopping. Ubud is absolutely full of art galleries and quirky gift and jewellery stores. You could easily spend at least half a day exploring the shops here. Take a day trip to the coast. Spot monkeys and admire coastal temples at Tanah Lot and Uluwatu. 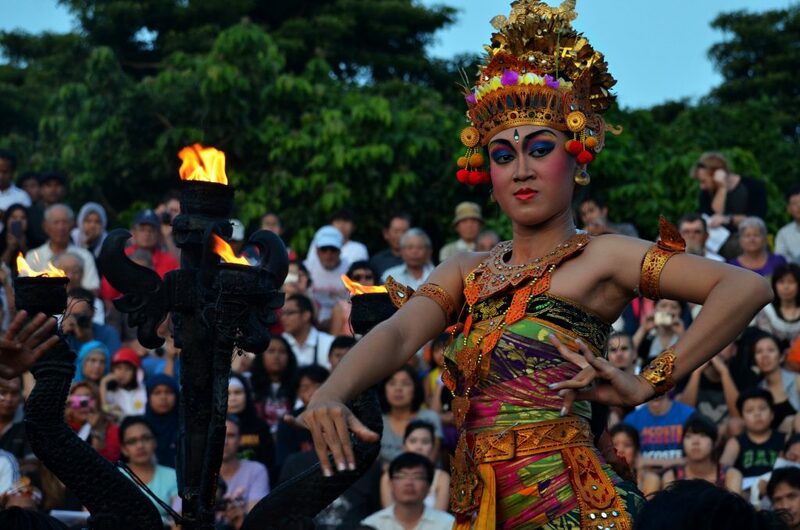 Make sure you stay until the evening to see a Kecak dance performance around the bonfire. There are so many amazing places to stay in Ubud from traditional Balinese villas to fancy resorts. Here are a few gorgeous options right in the town centre. The Gili Islands are made up of 3 islands, Gili Trawangan, Gili Air and Gili Meno. Gili Trawangan (or Gili T) is the party island popular with young backpackers. Gili Meno buy contrast is extremely quiet with just a small scattering of quiet hotels and a few restaurants. Gili Air is somewhere in between . 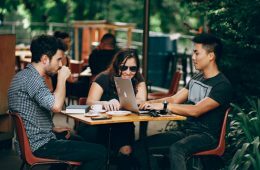 There are enough restaurants and bars to keep you occupied without feeling rowdy. I would recommend staying in Gili Air but visiting Gili Meno for a day trip – the beaches on Gili Meno are the quietest and the most beautiful. Snorkelling or Diving. With its warm crystal clear water, the Gili Islands are a brilliant place for snorkel or dive trips – especially as there are a high number of sea turtles in the area so you’re chances of spotting a few are really good. Relax. 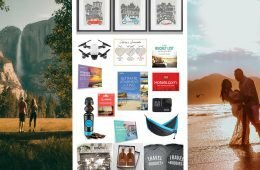 Read a book on the beach, sip a cocktail in a hammock, book a massage or take a yoga class. 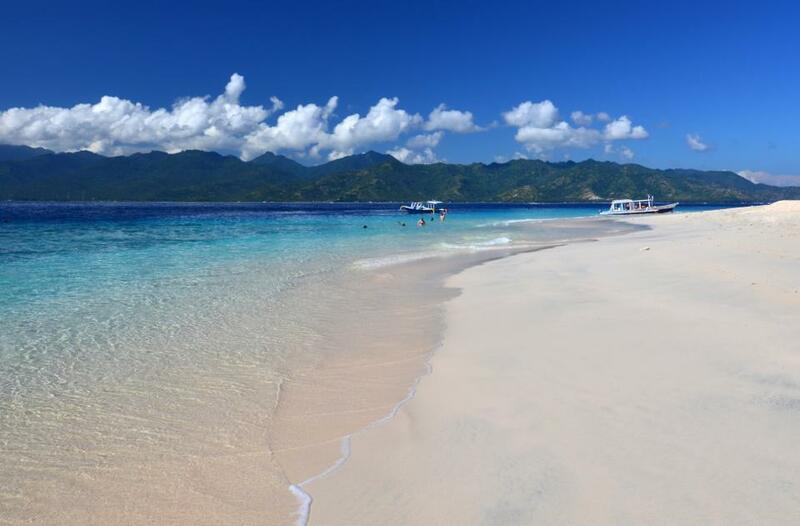 But whatever you choose to do, the Gili Islands are the perfect location for relaxation. Hire a bike to cycle around the island. 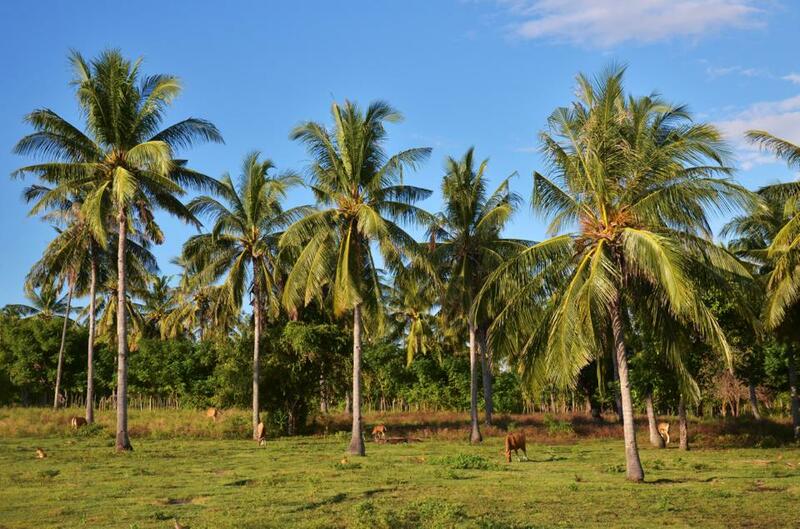 The island isn’t particularly big so you can cycle around it in an hour or two stopping off at beachside bars or explore the inland areas with it’s palm trees and cows and chickens roaming free. 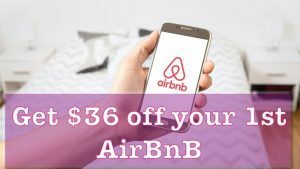 This is your rest and relaxation part of the trip so I suggest you pay a little more here to have the most luxurious, relaxing time possible. 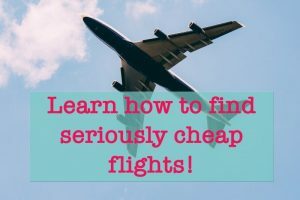 These places certainly won’t break the bank and they’ll have you packing your bags in an instant! The only place in the world where you can see these huge giants – Komodo dragons are the largest monitor lizards in the world. There are some great hikes to be done in this National Park with stunning coastal views. The best way to see the Komodo National Park when you’re limited on time is to take a sailing trip from Bali over 3 days. 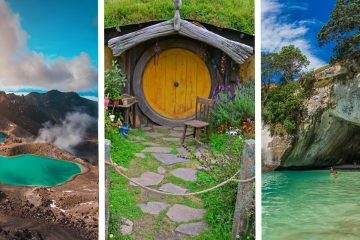 It’ll stop at all the important places and you’ll get a chance to see dragons as well as snorkel and hike in this beautiful National Park. 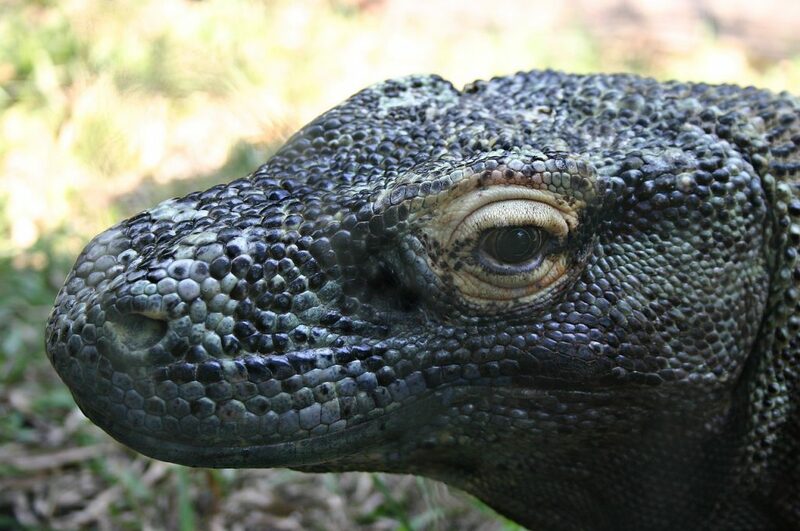 Spot Komodo Dragons – Indonesia is the only place you can see these huge monitor lizards which can grow up to 10 feet long! 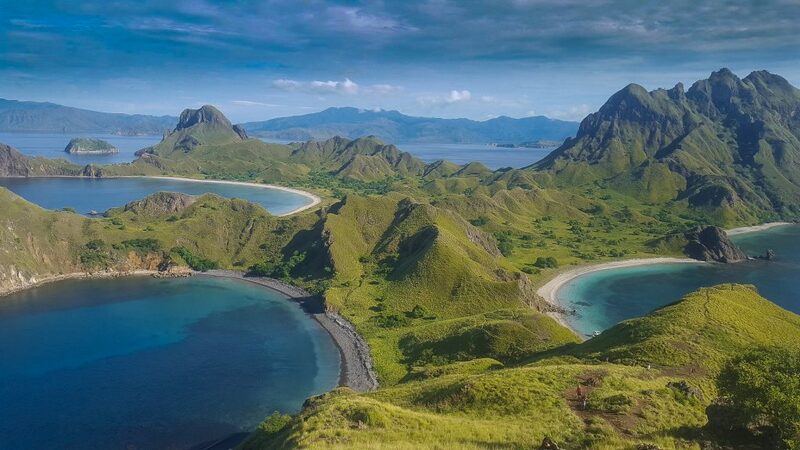 Padar Island Hike – hike to one of the most stunning view points in Indonesia looking down onto 3 pristine beaches and turquoise ocean from this vantage point. Visit a Pink Beach – Yep these beaches actually have pink sand courtesy of red coral breaking up and being washed ashore. Go snorkelling at Bidadari Island – there are some incredible snorkel and dive locations in this region. 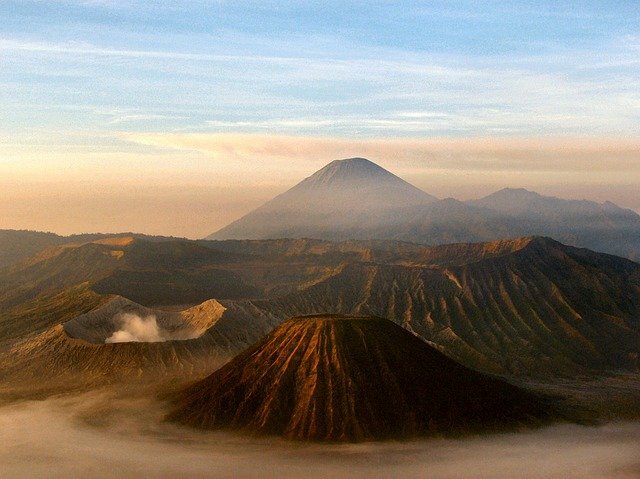 Two weeks in Indonesia certainly won’t allow you to see ALL of Indonesia’s highlights. 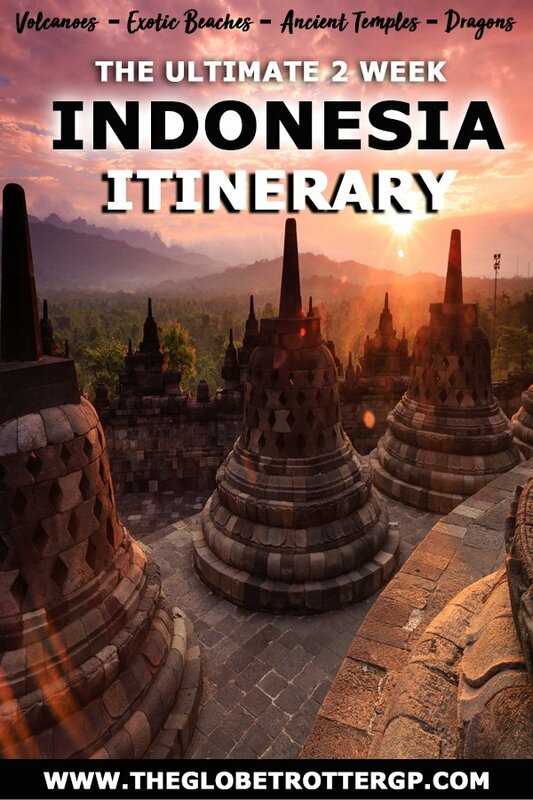 Though I reckon the 2 week Indonesia itinerary above does cover a lot of them! But if you have more time then try to spend 3-6 weeks in Indonesia. You’ll get to see so many gorgeous places and you will also be able to afford a few extra days relaxing in Ubud and Gili Air – two of my favourite places ever! Raja Ampat. 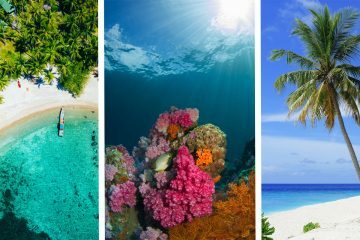 One of this planets most stunning archipelagos famous for its aqua water dotted with jungle-covered islands and world-class diving. Sumatra. 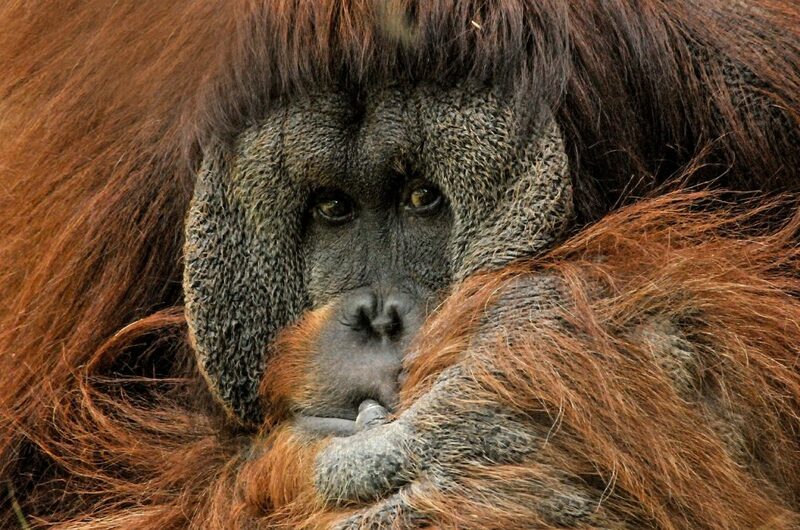 Pristine beaches, smoking volcanoes and jungle filled with orangutans. Sumatra is an adventure lovers paradise. Lombok. Some of the most beautiful untouched beaches in Indonesia. Its also home to Mt Rinjani – one of Indonesia’s most striking volcanoes in its own crater lake which you can hike to over 2 days. 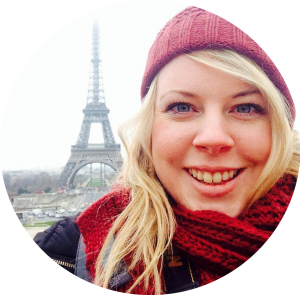 The two main companies which I travel with fairly frequently are G Adventures and Intrepid. 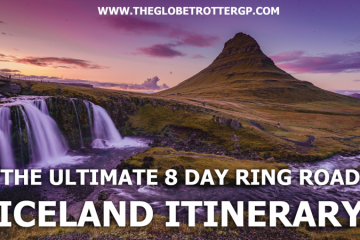 They both offer brilliant trips though G Adventures are probably my personal favourite and I’ve taken 3 trips with them in Southeast Asia. The advantages of travelling with a group is ready made friends, a knowledgable guide and absolutely zero hassle. Sometimes they even work out more economical depending on your style of travel. Sailing in Raja Ampat with Intrepid. This trip has got me excited, I am itching to book it myself. 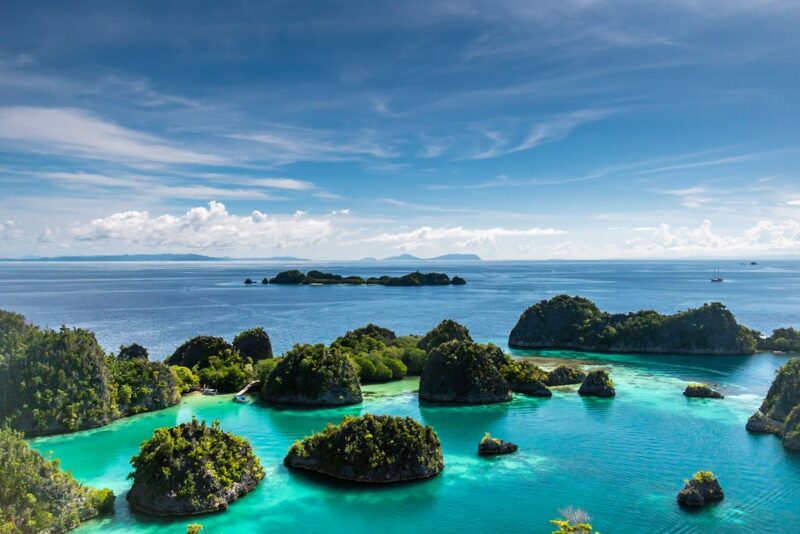 Maybe soon… You’ll spend 9 days sailing between the stunning islands in the Raja Ampat region stopping to snorkel, take hikes and visit villages on these stunning islands. Where do I sign up..?! And who’s with me?! 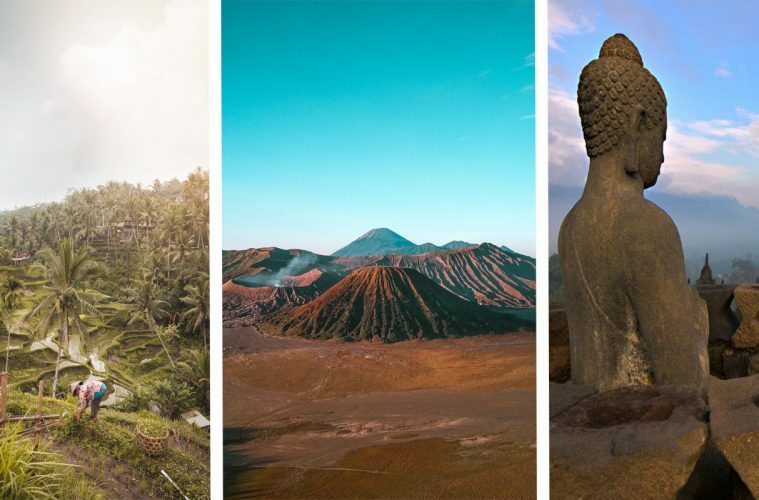 Sumatra, Java and Bali with G Adventures – if you have a little more time, this is a really comprehensive trip showcasing some of the best bits of Indonesia. 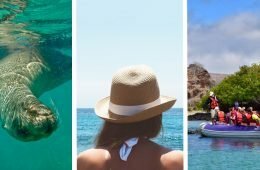 Best of Flores and Komodo with G Adventures – Whilst Komodo National Park offers the only place to see the huge Komodo Dragons, the Island of Flores offers up volcanoes, rice paddies and beautiful beaches. 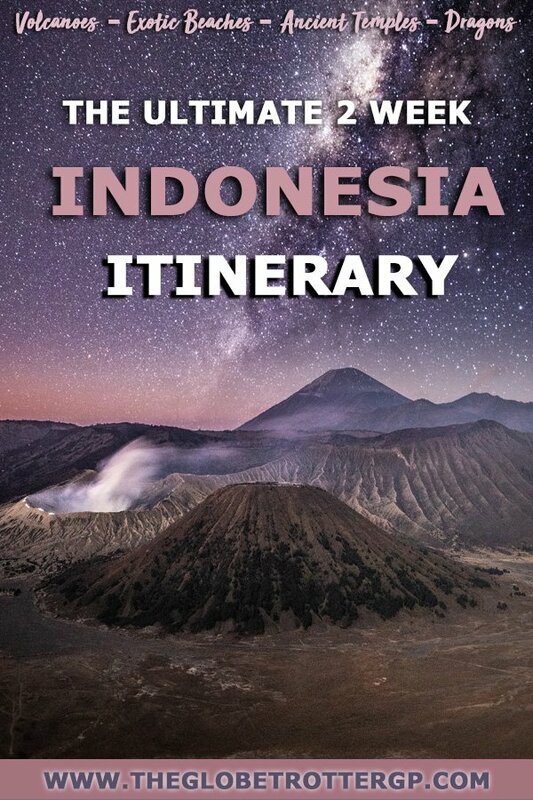 I hope you’re feeling inspired after reading this 2 week Indonesia itinerary! 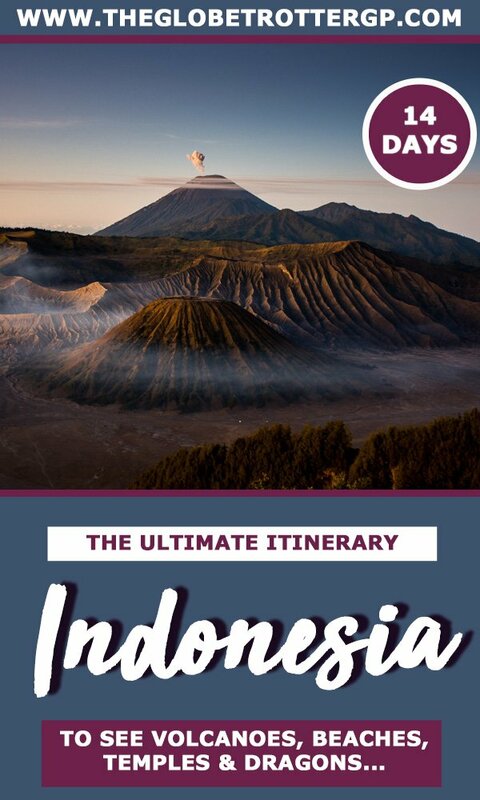 Indonesia is one truly beautiful country and you are going to have an incredible trip. 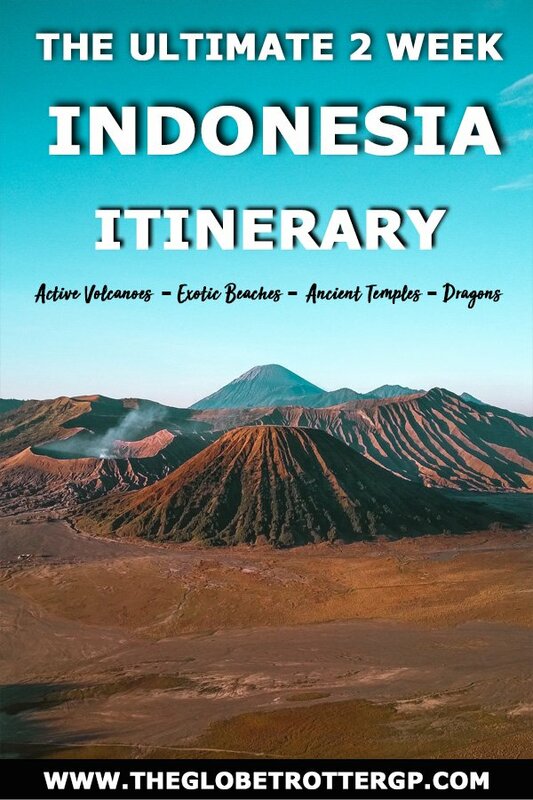 If you have any questions about the itinerary or travelling in Indonesia, don’t hesitate to let me know in the comments below and I’ll do my best to help!